Natural, all-season comfort. Bugaboo has updated its blanket portfolio with the new bugaboo soft wool blanket, which comes in the new colors and updated pattern, incorporating both a rib stitch and basket weave for a more contemporary look. 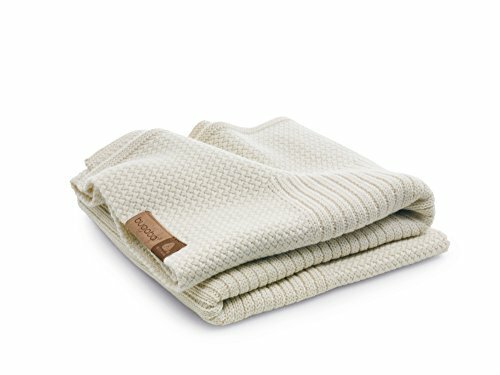 Made from the finest merino wool the blanket is suitable for even the most sensitive skin. Merino wool is breathable, while absorbing and releasing moisture in warm conditions and creating an extra layer of insulation during colder days. Use only a neutral, mild detergent that is preferably Woolmark recommended (look for the Woolmark symbol onthe package).